With the passing of July 4th holiday, the western US and Canada are officially in prime wildfire season. Per a July 1 release from the National Interagency Fire Center (NIFC), the peak of the fire season in the Southwest occurred during late June, and a normal transition of fire season activity to the west and north is expected through August as warmer and drier-than-average conditions develop across the western states. However, “Precipitation outlooks paint a grim picture for the West Coast States in July and August,” states the latest from NIFC. Data suggests that precipitation amounts should be well below average and by August, the trend will spread inland into northern Idaho and Montana. While March and April were in the range of “normal” in most of the country, the U.S. Drought Monitor showed four primary areas of drought across the nation in late spring—the most worrisome of which were the southern Great Plains and the Southwest regions. Many areas throughout the Southwest received less than 25 percent of average precipitation. However, Central and Northern California, the Pacific Northwest (PNW) and the Northern Rockies received 130 percent of average (or greater) precipitation in April. Snowpack at the higher elevations across Washington was above average in early May, and the cool, wet conditions throughout the region since February have helped the state’s snowpack considerably. Oregon is not in the same boat; almost all of the basins reported below average snowpack in early May, and only areas surrounding Mt. Hood and northeastern Oregon are near average. 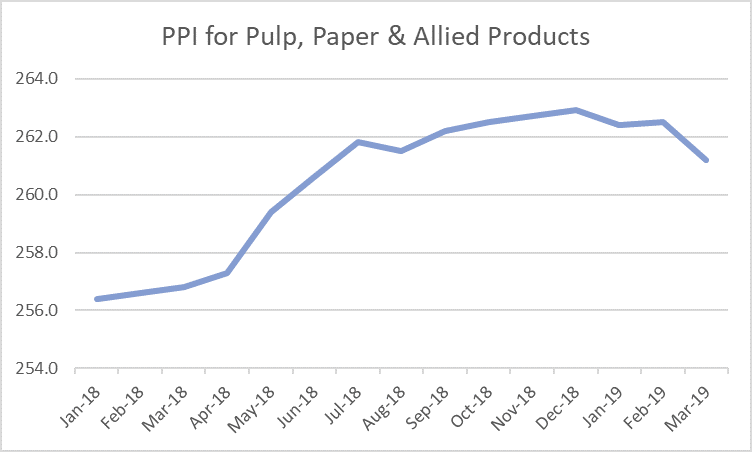 NIFC notes that the preexisting grass crop from 2017 (and the new growth) that is now cured and ripe for wildfire fuel across California, the Great Basin and Oregon is a real concern. Higher, timbered elevations in these areas are now a concern as the past winter’s below-average snowpack has allowed the high-elevation fuels to become dry enough to act as fuel for wildfire, although snowpack remains slightly above normal along the Canadian border. Nevada’s Martin fire near Winnemucca is currently the largest at over 435,000 acres, followed by Colorado’s Spring Creek fire in Costilla County at over 108,000 acres; both fires are over 90 percent contained. The Spring Creek fire is the third-largest fire in Colorado history. 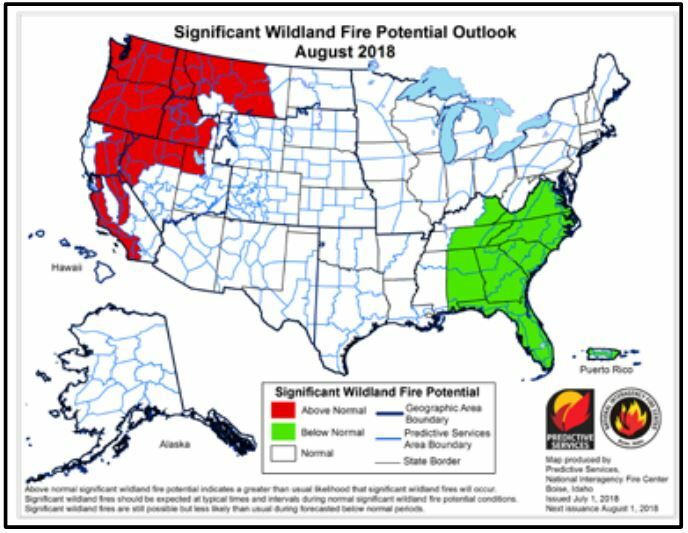 “Above Normal” significant wildland fire potential is expected for the PNW region through September except for northwestern Washington in July and southeastern Oregon in September, when “Normal” significant wildland fire potential is expected. Early June brought cooler temperatures and intermittent precipitation to the area. Regions west of the Cascades received occasional rain, while areas to the east of the Cascades received larger amounts of rainfall—especially sections of eastern Oregon. However, June rainfall was still less than average for many areas. Cumulatively, Oregon remains drier than average, while northern and eastern Washington have been marginally wetter than average.